I don’t remember exactly when, and I don’t remember the exact words, so I can’t provide a citation, but some time during all the rancorous politics of the 1990’s, George Will made the comment that for as much as conservatives disliked (and worse) Bill Clinton, he hadn’t done [or wasn’t going to do] any long-term damage to the Republic. Now, I was a person who absolutely hated the Clinton presidency. He was so obviously a liar and a scoundrel, it was a travesty that a man like this should become President of the United States. But after Will’s comment had a chance to sink in with me, I knew he was right. Having a President like Bill Clinton enabled the opposing forces within the Republic to coalesce; we had the small conservative revolution of 1994, and the Clinton presidency was largely neutralized, by forces that the founders had built into the American system some 200 years earlier. See Federalist 51, for example: “the great security against a gradual concentration of the several powers in the same department, consists in giving to those who administer each department the necessary constitutional means and personal motives to resist encroachments of the others.” This is not a fool-proof system, but this principle continues to function properly in our day. The notion that that, whatever political forces were in the ascendancy at the moment, opposing forces would coalesce, works for both sides of the political spectrum. George Bush, who had promised a “humble foreign policy” but eventually posited “the Bush doctrine” of “preventive war” – was mightily opposed, first in the congressional elections of 2006 – the Democrats made a mighty surge to win back congress, much as the Republicans did in 1994 – then in the 2008 Presidential election, when McCain was called “Bush 3”, to elect an articulate spokesman for their own causes, Barack Obama. And we’ve seen the effects again even during the Obama presidency, as the Democrats tried to do too much, and various Republican and right-leaning movements coalesced to bring the Republicans back into power in the House of Representatives. In my lifetime, I have seen several schools of thought among Republicans as to “how to elect a Republican president”. Richard Nixon articulated the view that, as a Republican candidate, you should “run as hard to the right as you can to gain the nomination, then run as hard as you can back to the center in the General Election”. He did this, and it worked for him. Now, he had some problems of his own making, but those problems don’t necessarily negate the validity of this political strategy. In 2004, Karl Rove posited, and Rush Limbaugh popularized, the notion that we should exclude the center – and expand the right as much as possible, so as to create a right-leaning majority. Of course that seems to have worked for Bush in 2004 – but somehow Bush, Rove, and Limbaugh had promised too much, damaged the credibility of the party, and the backlash of 2006 and 2008 soon followed. For many Republicans, [no alternative to Romney has] crossed the threshold as a credible president. … [No one of them] has emerged organically from the ferocious antigovernment backlash that emerged during the final years of George W. Bush’s presidency and then erupted early in Obama’s. None of the heroes of that movement—from New Jersey Gov. Chris Christie to Sen. Marco Rubio of Florida to Rep. Paul Ryan of Wisconsin—felt ready to run in 2012, either because they were too young or too recently elected, or both. Other veteran Republicans potentially attractive to those voters also passed, including Rep. Mike Pence of Indiana and Mississippi Gov. Haley Barbour. I would disagree with Brownstein that it was an “antigovernment backlash” that happened in 2006 and 2008. Nevertheless, we are at a point at which we may be left with Romney the nominee, and even maybe a “President Mitt Romney”. Which brings me to my point. Neither a Romney presidency nor an Obama presidency in 2012 is going to do long-lasting damage to the Republic. The system of government set up by the founders of this country is a pretty good one. There was another school of thought on “how to elect a Republican president”, and that was Ronald Reagan’s way. Reagan had lost an election to Gerald Ford, but meanwhile, he was hard at work. 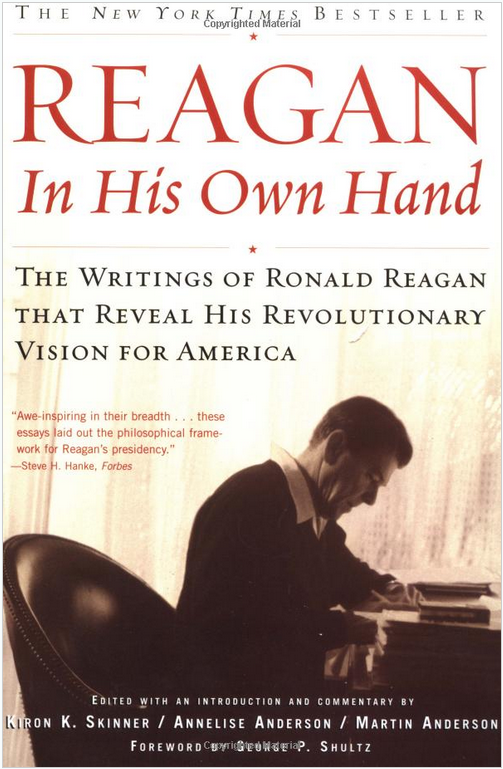 A “Goldwater” Republican during the late 60’s and early 70’s, Reagan was a person who took the time to think through how conservative ideas and principles ought to play out in the real world. It was his thought and his policies that led very quickly (within 10 years) to the demise of the Soviet satellite of nations and eventually the Soviet system of government. And it was his economic attitude and policies that enabled the US economy to recover from the stagnation of the 1970’s to become the growth engine that it had become through the 1980’s and 1990’s and beyond. From this perspective, it’s very hopeful for Republicans to have names like Christie and Ryan and Rubio and Jindal in some high-profile places. Ron Paul has, and articulates, some good ideas, but the weaknesses of his libertarianism (and his personal weaknesses) are very evident. Sarah Palin may have been a pretty candidate who espoused conservative principles, but she was just a “stopper” and a window dressing. The real heavy lifting of the Republican party will need to be accomplished not by someone who merely claims the mantle of Reagan, but by someone who can genuinely do what Reagan did, and that is, to think through the problems of the day, and understand how best to solve these problems with the best of conservative principles. The American System not only allows for that, but indeed, it encourages it.